PRADA top and CARTIER ring. His fault, not mine. I step out of my car with the countenance of someone who knows a text-and-driver when she sees one, someone with a good insurance policy and places to be. I’m in Chinatown and my car has just been T-boned pulling into the parking lot to interview Ross Butler. The driver gets out, sheepish, not a day over 18. As we exchange insurance information I marvel at what unfolds before me, comedic save for the scraps of my car decorating the ground like confetti. This is the tableau: the driver in the foreground, on the phone, telling his mom about the accident. I can hear her shrieking, a real five-star drama queen. The air is the smoky pink of Los Angeles at twilight, and the red lanterns of Chinatown have begun to glow. And in the background of the tableau, just over the right shoulder of the driver, I can see Ross Butler. He’s in the midst of a photo shoot. The door to the studio is wide open, and Butler is dancing, lightly, just enough to create interesting looks for the photographer. It’s an awkward job, but he makes it look cool. The photographer, stylist and make-up artist buzz around him. Music of the “vibe-y” variety rumbles into the street. Tourists stroll by, but no one stops. Perhaps they don’t realize this is Ross Butler of 13 Reasons Why fame, of upcoming Shazam! fame, of 6.4 million Instagram followers fame, of young hearts swooning worldwide fame. In the very near future, Butler will charm me with his grace and intelligence, and I’ll write down podcast recommendations for him. His dedication to supporting no-kill animal shelters will inspire me to start my own foundation, and Butler will offer to personally solder my car back together, one scrap at a time. The last sentence is a lie. But sometimes hyperbole is the best way to convey the extraordinary qualities of a person, like Butler’s prolific gentlemanliness and aptitude for man skills. But first, the driver’s mom has arrived on the scene and is screaming unprintable expletives at me, and I’m just hoping Butler and his team can’t hear. It’s a few hours before the winter solstice, and four days until Christmas. HUDSON JEANS t-shirt and RAY-BAN sunglasses. “I’m learning Chinese these days.” Butler says this casually, like one might mention they’ve started taking walks in the afternoon. We’re exploring one of the antique shops in Chinatown, and I realize his new language hobby probably only came up because it related to the setting. Boasting, I will learn, is not part of the Ross Butler ethos. I ask what prompted his desire to learn Chinese. He asks the shop owner a question in Chinese. They chat for a moment, and I’m impressed. I ask what they were speaking about, and he points to the antique hot pots for sale. “Those. Have you ever had a hot pot? It’s like soup.” Oh. No, I haven’t. I ask if he’s been to China. “A couple of times, but not since I was 14. I really want to go back. I like the food, and I read a lot about the culture.” I ask if he knows how people perceive him in China, being an American movie star with Asian heritage. “I have no clue.” Cue humble shrug. DIOR MEN jacket, jeans, and shoes. 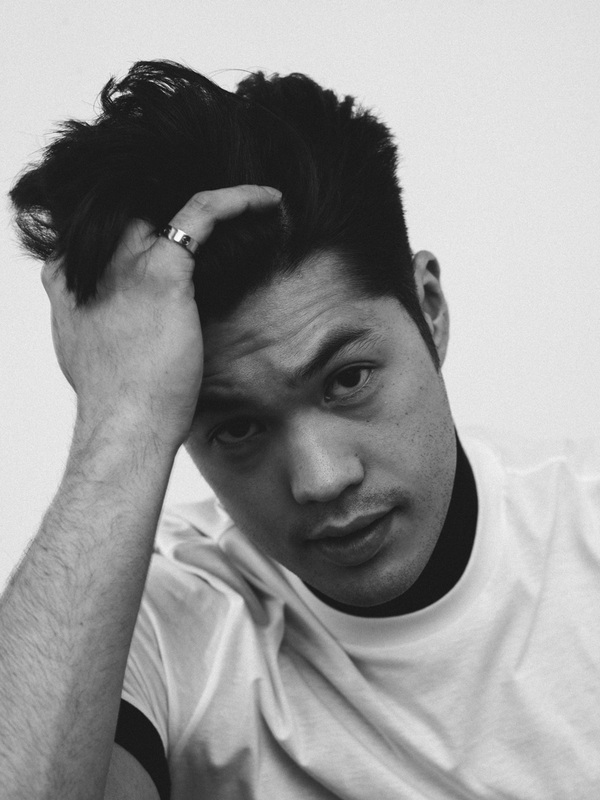 Ross Butler is starring in the upcoming superhero movie Shazam!, but he can’t tell me anything about his role. When I suggest perhaps they’re keeping his role under wraps because he’s buzz-worthy and they want to build the anticipation, Butler shrugs once more. The hero of the movie is a young boy whose magical power is that when he says the word “Shazam!” he turns into a grown-up. I tell Butler I watched the trailer and it looks like tons of fun, equal parts Deadpool and Big. You see, there’s the truth we tell ourselves, and then there’s the truth truth. Like how I want to believe the fender bender was the other guy’s fault, but as his mom pointed out I was turning over a double yellow line, so technically it’s my fault. I’d like to believe cracking my knuckles will never cause problems. And after hearing it from Ross Butler, that will now be my story. All fear of developing carpal tunnel is gone, now and forever. DIOR MEN suit and CHRISTIAN LOUBOUTIN shoes and CARTIER watch. HUDSON JEANS jacket, t-shirt, and shorts, CARTIER bracelet, and CHRISTIAN LOUBOUTIN shoes. What’s it like to be a rising star in the “new” Hollywood? When conversations on inclusion and representation happen in a major way, yet masters of the old paradigm still call the shots behind shiny doors? If you’re Ross Butler, the answer is optimistic, and ever diplomatic. This brings up the concept of isolation, which turns quickly to a conversation about social media. Butler has things to say on the subject. I ask about the videos he posts of him singing and playing guitar. He gets a little shy. We walk by a storefront and see a man at a chalkboard, writing in Chinese on a graph, the chalk powdering his clothes. The room is decorated in old flags and certificates. There’s a lot of mahogany, and the shop has the frozen air of a bygone time. The sign out front reads, “The Society of Benevolent Activities.” I ponder out loud what he could possibly be up to. Because I’m still seeing the world through the lens of Ross Butler, everything is more witty, sincere, adorable. His response: “He’s planning because he’s Santa’s apprentice.” And then Ross Butler gives me a big friendly hug, asks his publicist what’s next on the agenda, and is gone. 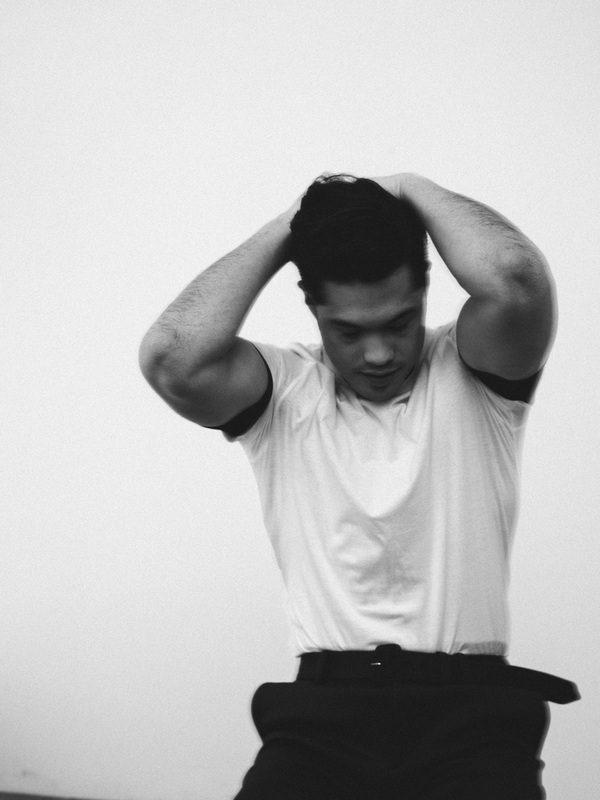 Ross Butler 13 Reasons Why Shazam!